Over years, Fireco has established its reputable brand name with its reliable product in Military industry, around the world. Wide range of Fireco’s Pneumatic Telescopic Mast is used to carry & elevate antennas, radars, camera border control, data transmission device, etc. As for requirement of emergency lighting, Fireco’s Pneumatic Telescopic Floodlight is ideal choice to provide sufficient projection lights during night operation. Pneumatic Telescopic Floodlight can be available in portable type or to be mounted on vehicle in mobility type. 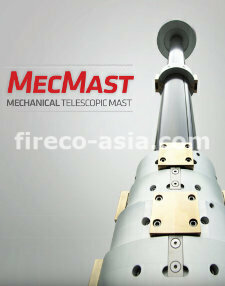 Fireco’s MecMast is our latest development of robust and reliable electro-mechanical Mast for use in Military application that requires high stability or Mast “on the move” solutions. 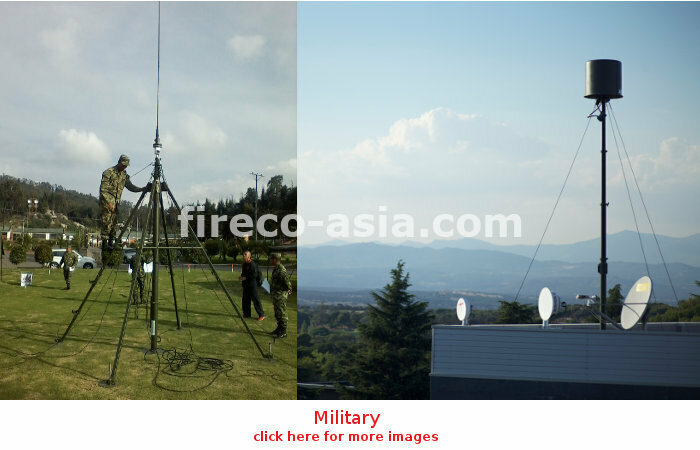 Fireco Water Mist Kit is used in rapid fire fighting within Military. Water Mist is the great choice to assist in extinguishing fire efficiently, with lesser water consumption.